At a legal level, buying a property consists of a stipulated process which demands the fulfilment of a determined number of requirements set by the Spanish regulation. In this article, we will be focusing on exactly that. 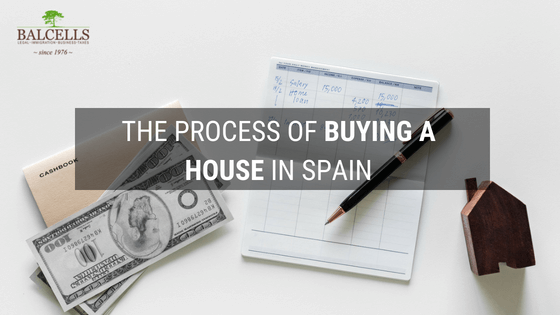 What’s below is a brief summary of the process of buying and selling houses in Spain: which are the exact steps to follow, requirements that must be accomplished and which taxes will be faced. This phase, which has a more previous character, encompasses the property control, the pre-agreement, and the mortgage. Due Diligence. It mainly consists of reviewing the property while verifying the ownership and many details such as size and location. Besides that, making sure it is debt free is also a requirement here. Pre-Agreement. Through this contract, both the buyer and the seller explicitly manifest their intention that they want the operation to take place (the buyer that wants to buy, and the seller that wants to sell). This is called Contrato de Arras in Spain, and it goes together with a down payment. Mortgage. This is a long process, for which is advisable to start early on. We must collect all the documents that the bank requires, receive the approval for the mortgage, and sign the Contrato de Arras. This second phase has to do with everything related to the property services and utility transfer, as well as its registration. In the case that a loan has been conceded, we will face its appraisal process. The bank receives the pre-agreement, will send an appraiser to evaluate the property, and once he has established the estimation, the financial entity will favourably sign the mortgage. Closing. Here, the transfer of the property is certified by a notary. Both parts provide the solicited documentation (identification document, property title, payment, etc. ); and finally, the contract is signed and authorized by the notary. Register. Once there is tangible proof that taxes have been paid, we proceed to transfer the utilities. After the registration in the Property Registry, the buyer finally turns into the owner of the property. We mainly find 4 different taxes that can be associated with the process of buying and selling houses in the Spanish territory, that could turn into 5 in the case that the interested party is a foreigner individual. The impuesto de transmisiones patrimoniales is a property tax. Defining the exact tax rate will depend on the location of the property, and that is because it varies depending on the autonomous community we are settled in. Nevertheless, it always oscillates between 5% and 10%. Regarding the time limit, it must be paid within the first 30 days after the purchase. This tax is just applicable to houses. Again, it fluctuates between 0.75% and 1.5% depending on the region. It is usually paid with the ITP. Plusvalía is a local tax to be paid by the seller. He or She will go to the City Hall and send the form. Sometime later he will receive, via email, the exact amount that is due. This amount depends on the number of years the property has and the Cadastral Value. The impuesto sobre bienes inmuebles is a tax emitted by the local entity in which the property is located. It ranges from 0.5% and 1.1% of the cadastral value. Which Taxes has a Foreigner who Does Not live in Spain Has to Pay When Buying a Property? Mainly one tax, amount that will vary depending on if the foreigner is an EU citizen or not. We are referring to the non-resident income tax. The income is computed based on the cadastral value of the property, and it will be between 1.1% and 2% of the value of the house. In the case that the individual is an EU resident, it will be a 19% of that income, whereas it will be a 24% for non-EU residents. The declared income, always without any tax deduction, is the amount collected from the tenant. If you have any doubt about the process of buying and selling properties in Spain, related taxes and how to handle your own personal situation, do not hesitate to contact us in order to receive legal advice.